Hello lovely people! Time has flown by and been filled with shoots involving kids, food, dogs and the outdoors, phew! I did get chance to do a bit of sewing the other weekend though which was fun as the old gal (mrs sewing machine) hasn’t been out for a while. 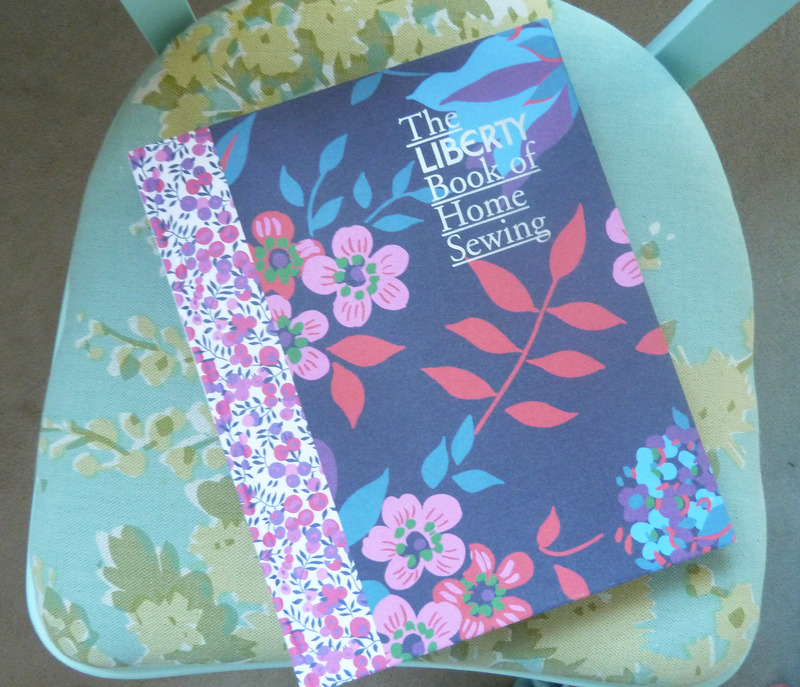 I also got chance to use one of my chrimbo pressies, the Liberty Book of Home Sewing which i’ve been dying to put to good use. 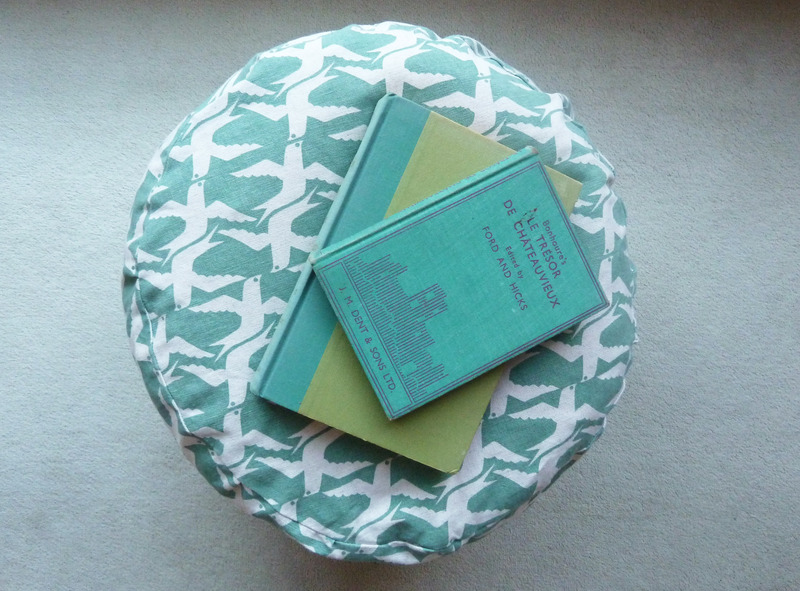 I’ve been helping a good friend design her nursery and we both loved the idea of a little beanbag/pouffe that would be perfect to pop her feet on when nursing but could also be used later on as the little one grows. 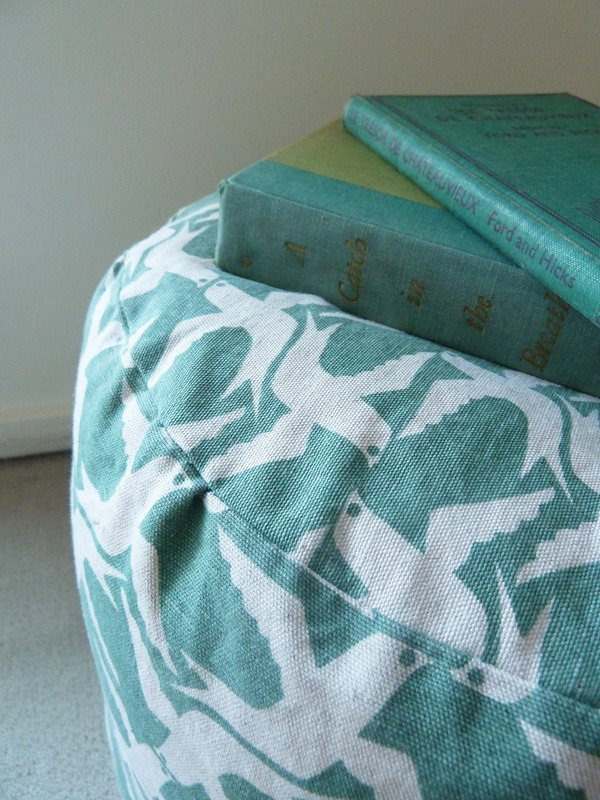 We painted the walls soft grey and decided on accents of white, coral, yellow and teal blue. We wanted to keep the palate gender neutral as they didn’t know whether they were having a boy or a girl. 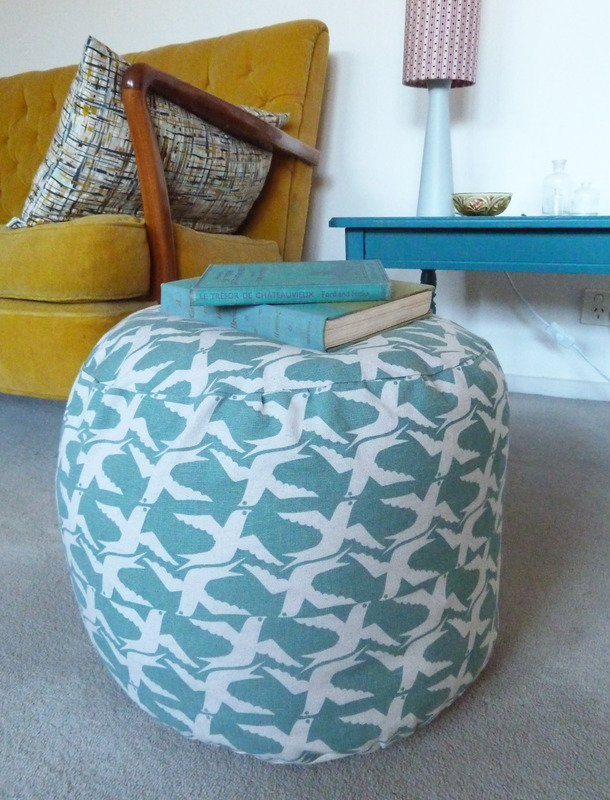 With a gorgeous retro Danish set of drawers and a scandi rocking chair i thought some Skinny La Minx fabric, Cloudbird in Sky Blue, would be perfect! Voila, here it is, looking a little on the wonk in this picture but i’m pretty chuffed for my fist attempt! Little Emily arrived about a month ago so it’s already being put to good use, hurrah! Obviously she is a little young to read the books but i thought the colours looked nice…. All in all a pretty simple pattern to follow, the hardest thing i found was drawing a circle template, my pencil and string technique was a little tiresome. The basting or tacking of the zip and the top and bottom pieces is such a good idea, it allows you to make mistakes before attempting it with the machine. One flaw i did find is the pattern states you should be able to fill your liner with your 56 litres of poly beads (i used less) and insert into your cover, which, “may involve a little bit of wrestling”. Well i wrestled and wrestled, so did the husband, but to no avail, i ended up splitting some of the stitches so gave it up as a bad job. I emptied the liner, inserted into the cover and then filled it with the beads. Got the job done but it did involve unpicking some stitches. 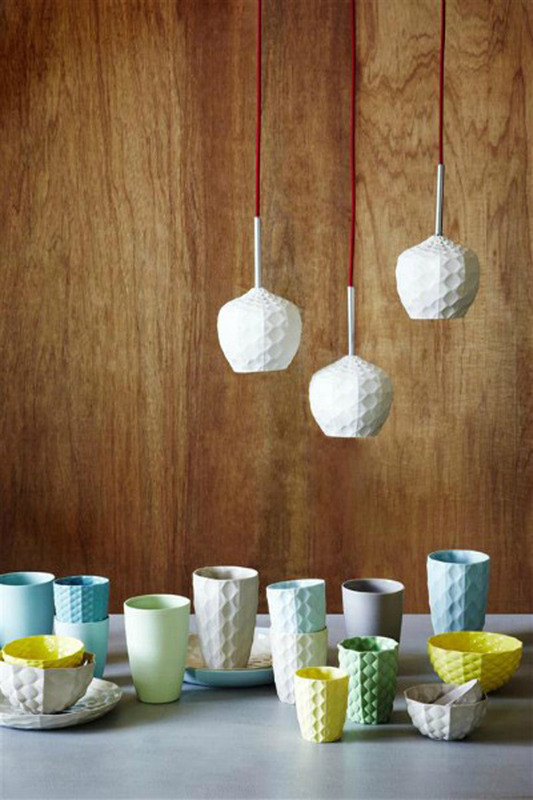 Love, love, love this new collection of ceramics and lighting from The Mod Collective. Bang on the geometric trend and i’m always a sucker for those aqua and yellow hues (other colours are available!). Darn good Aussie design. Feeling inspired by all things ‘twiggy’ at the moment! Delicate porcelain split branch vases from Otchipotchi; Cute hand painted wood connected necklace from Marukiko’s etsy store; beautiful porcelain and driftwood sugar spoons available here and i’m head over heels for the ‘Rod’ standard lamp crafted by the talented Sebastian Cox who hails from my home county Lincolnshire.Woop! A couple of weeks ago Blank Goods dropped into my inbox, a lovely new online shop full of colourful paper goodies. 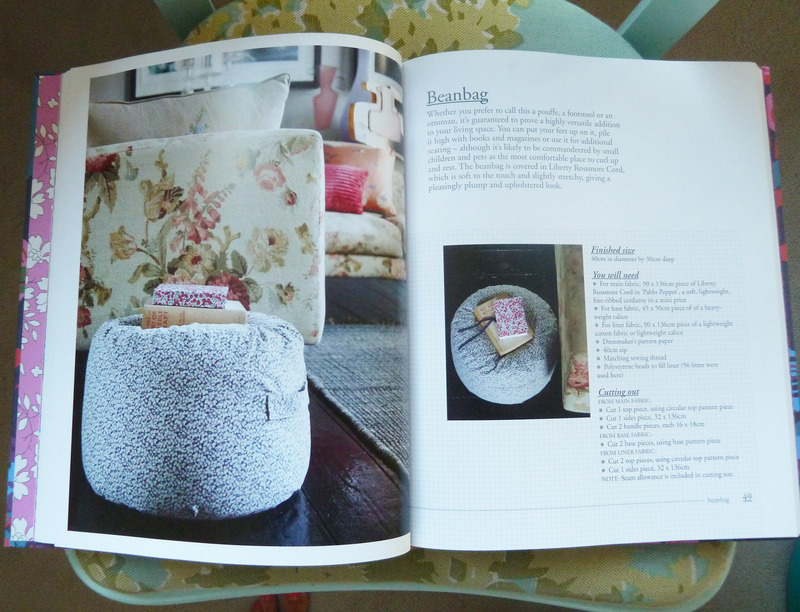 Perfect for those who like to get creative with their gift wrapping! 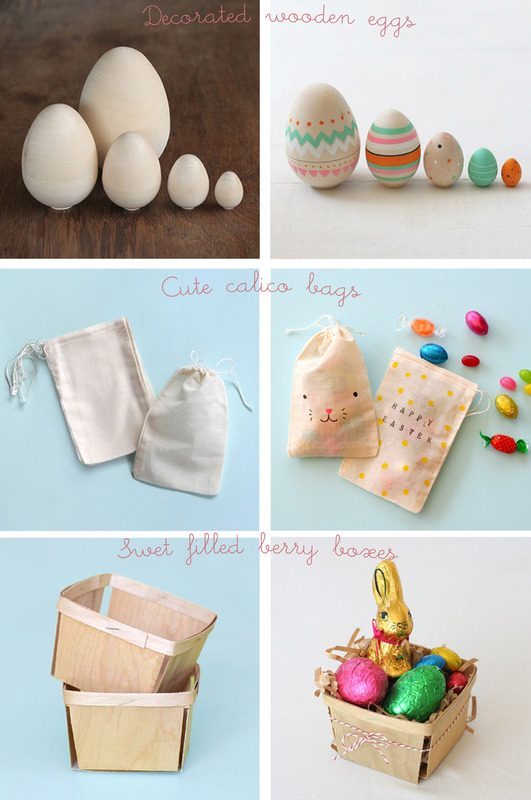 Also full of cute ideas and inspiration for their products, and here are a few for Easter using their blank wooden eggs, muslin bags and wooden berry boxes. 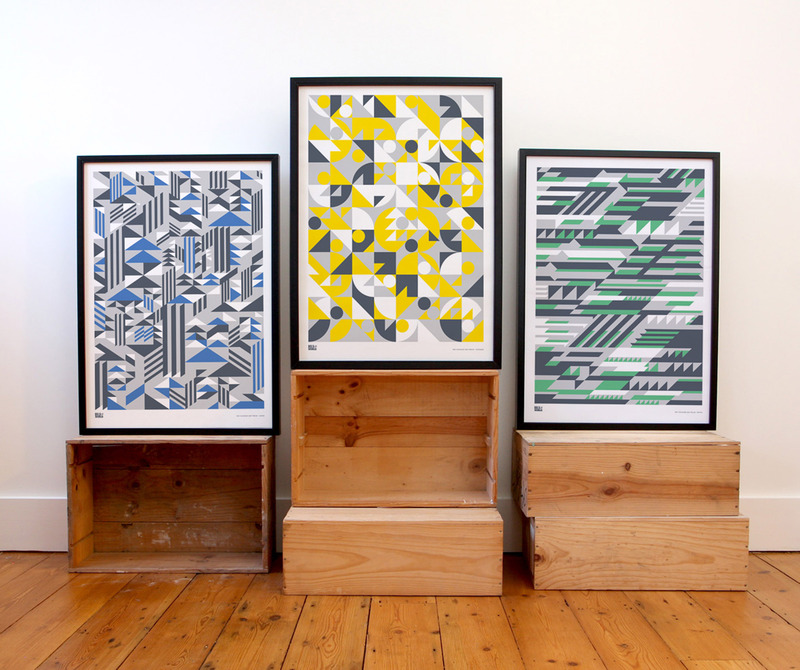 Love these prints, part of the new geometric collection from Bold & Noble, due for release in a few weeks. They also all come in a rather fetching monochrome palette as well. Nice. 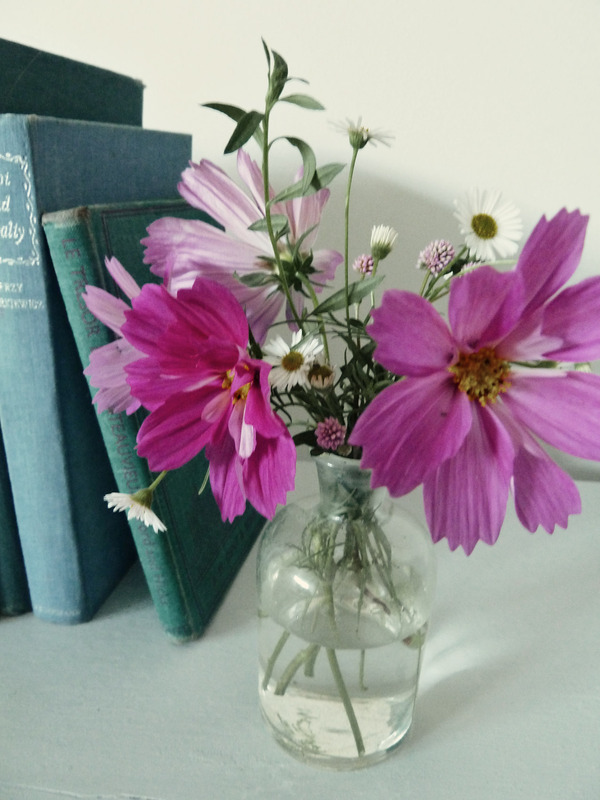 Thank goodness for a brand new week, the last one was just terrible! A collision between the laptop and an ill placed glass of orange juice caused many drama’s and boy doesn’t bad luck always come in three’s?! So a weekend camping trip to Jervis bay was a welcome tonic, how could it not be with beaches and weather this stunning, pure heaven. ps. Thankfully the laptop was repairable so i’m back in business, it’s crazy how much i rely on this machine!